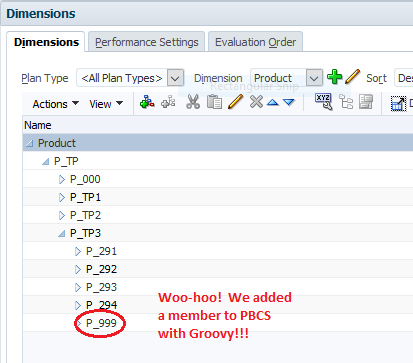 This is the seventh post in a multi-part blog educating readers on how to build a personal “sandbox” environment for Hyperion Planning. Click here to see all nine posts in the series. So far . . . so good . . .
Now would be a good time to take a snapshot of your virtual machine. To begin the Hyperion Planning installation, navigate to the zipped files previously downloaded from e-delivery. Unzip all of the downloaded files. I recommend 7zip. Unzip these files from the host computer. You may receive warnings about the location of your unzipped files already having certain files in place. This is because Oracle sometimes packages the same file in multiple zip files, and should not cause concern. Login to your VM. 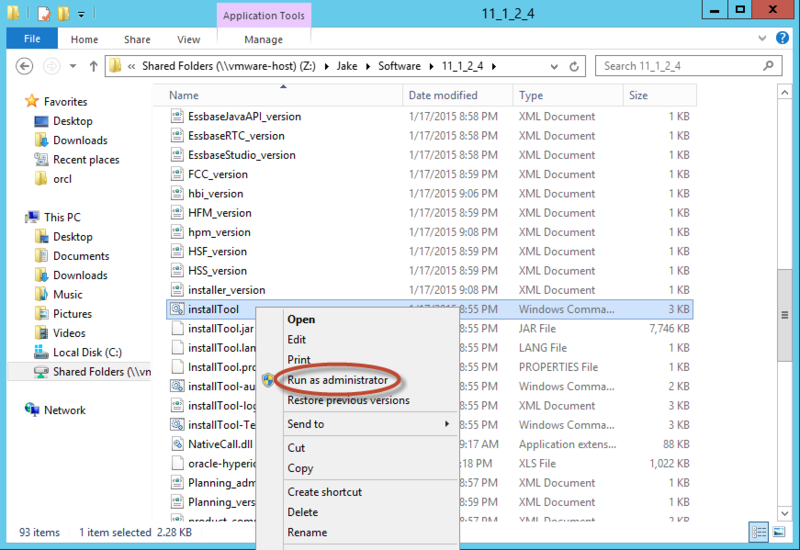 Navigate to the unzipped files (on your shared folder) and locate the file “installTool.cmd”. Right click on this file and select “Run as Administrator”. 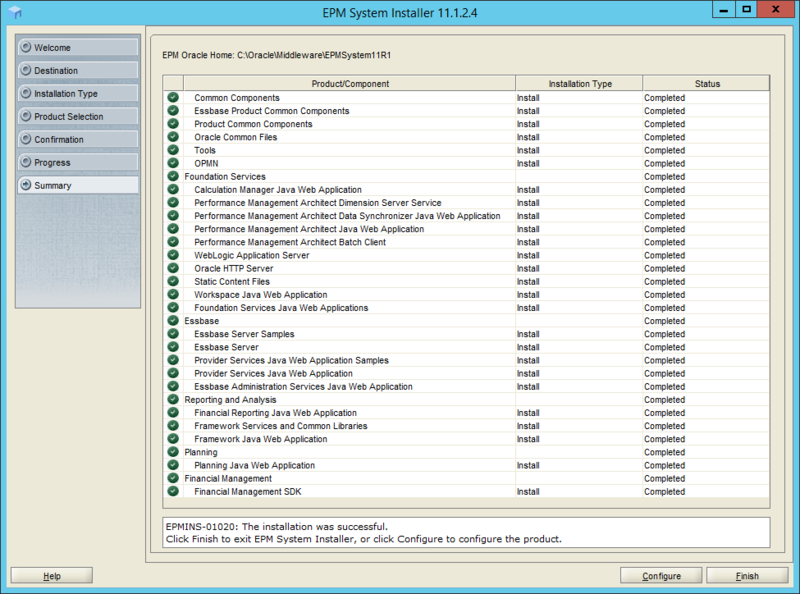 The EPM System Installer will open. Make sure that the prerequisite checks all pass. 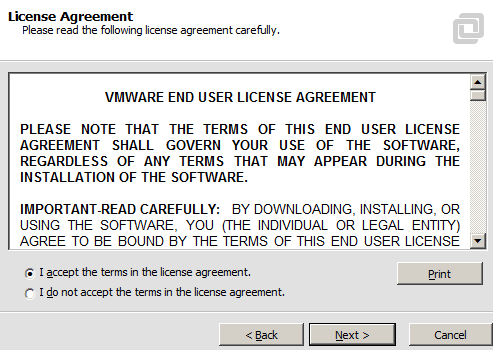 If any of the four lines above do not have a check box, you must stop the installation, as something is wrong. Assuming all four lines have a check next to them, select “Next”. 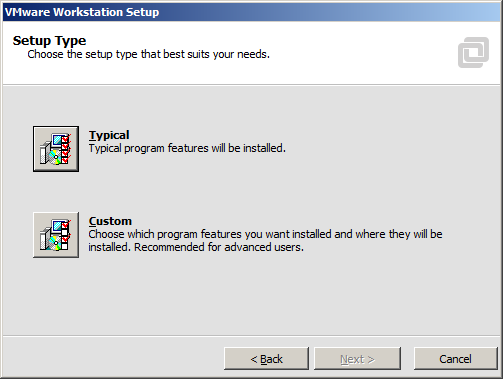 Choose the install type (only one option will be available). Select the software to install. Note that we are not really installing Financial Management above. There is a required component under this product. 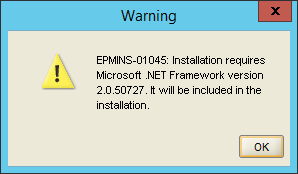 A .NET warning will appear. Select “Next” and the installation will begin. This portion will take some time. Ensure that everything was installed successfully. Select “Finish”. Take a snapshot before configuring the software. With Hyperion Planning installed, it’s time to move on to the configuration. Click here for the next post in this series. 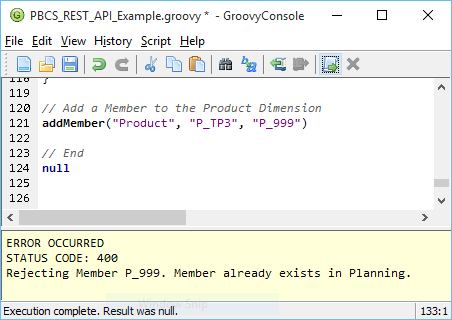 This is the sixth post in a multi-part blog educating readers on how to build a personal “sandbox” environment for Hyperion Planning. Click here to see all nine posts in the series. Most products in the EPM stack require a relational repository. In the steps below, we will create blank schemas in our Oracle 12c database. 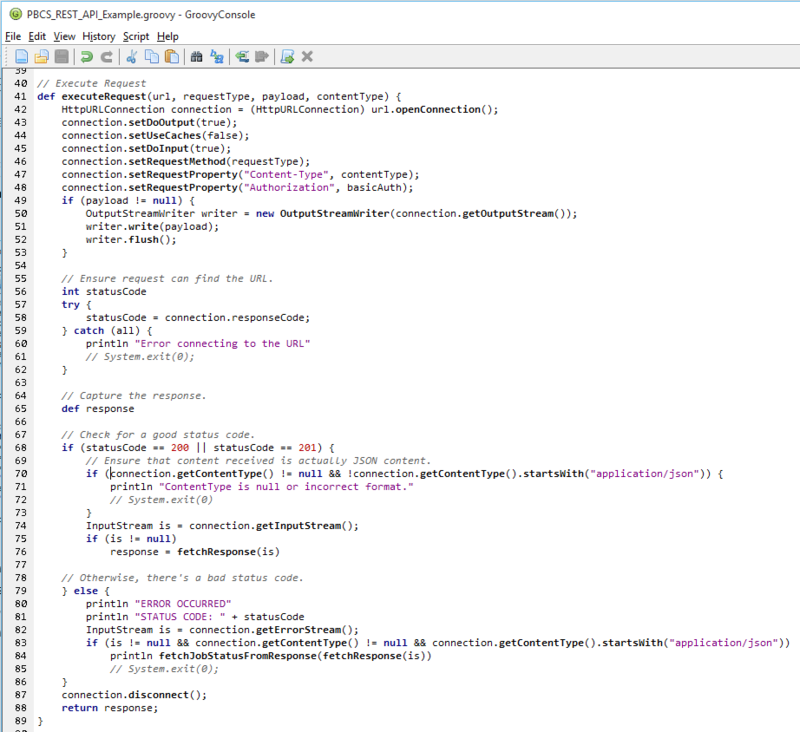 Later, these schemas will be populated automatically during product configuration. But for now, all we need are blank schemas, user ID’s and some general settings. To get started, make sure your VM is up and running. 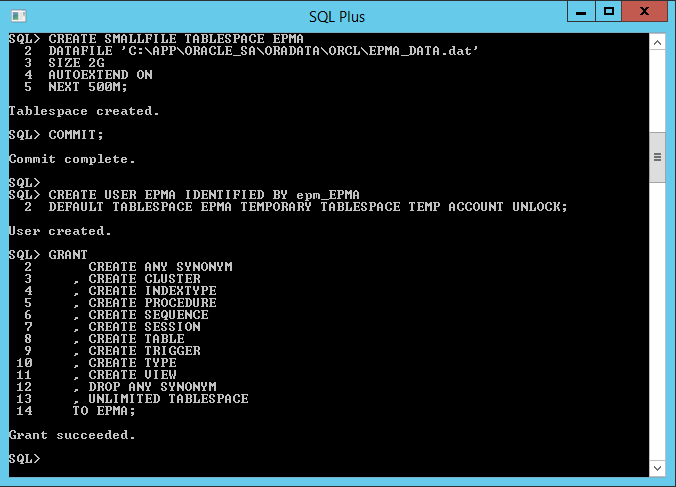 Within your VM, open SQL Plus. Enter the user ID “system”. 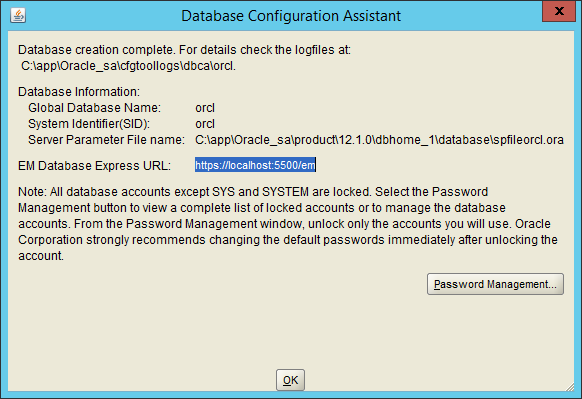 Use the password entered during the Oracle 12c installation . . . this is the administrative password. 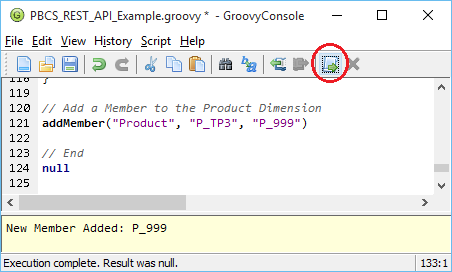 The table below includes a summary of the repositories created in the SQL above. 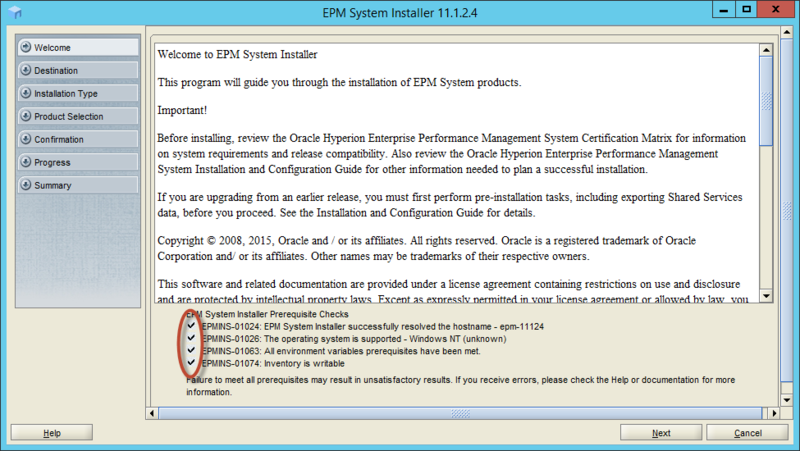 Now that the application schemas and user ID’s have been created, we are finally ready to install Hyperion Planning and the related EPM products!!! Click here for the next post in the series. 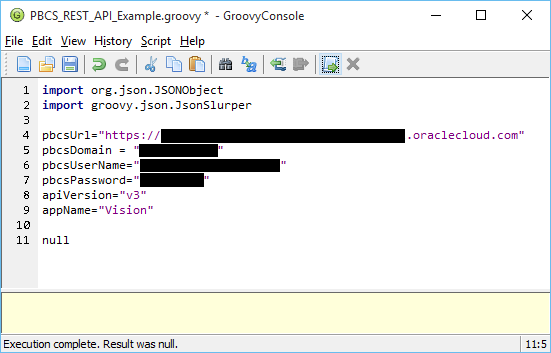 This is the fifth post in a multi-part blog educating readers on how to build a personal “sandbox” environment for Hyperion Planning. Click here to see all nine posts in the series. Although Hyperion Planning stores the majority of its data in Essbase, most of the products in the EPM stack have relational repositories. For this reason, a relational database is required. 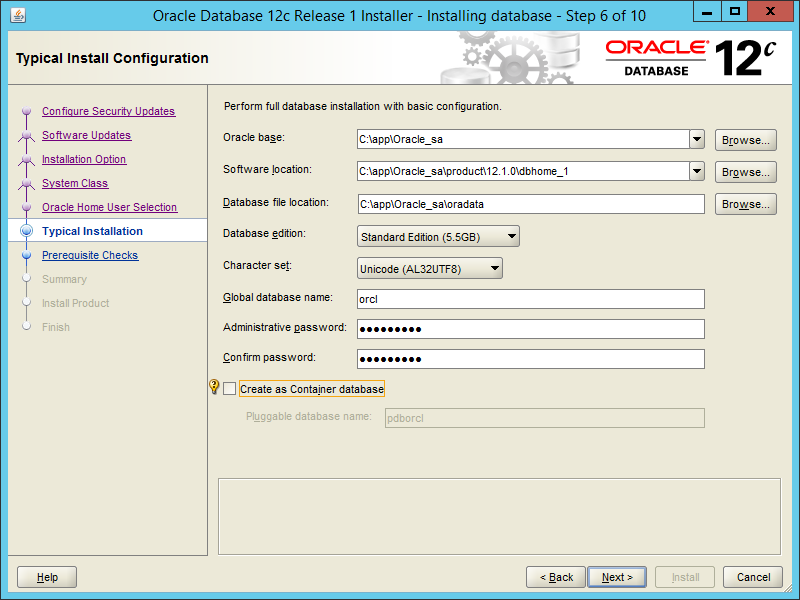 In this example, we will use Oracle’s 12c database. Before we can install any software on our VM, we need to ensure that our server can see files stored on our host (because we downloaded all of the software on our host and there’s no point in storing these files on the VM as well). 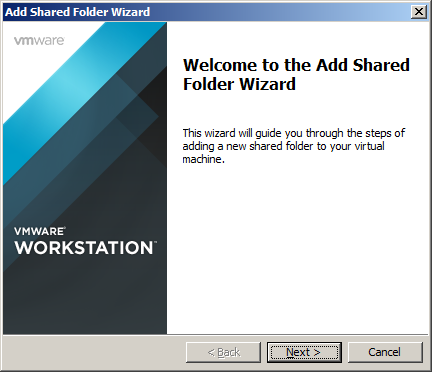 VMware Workstation has the ability to create “Shared” folders that show up as mapped drives on the VM. This makes it easy to access files on the host from the VM. 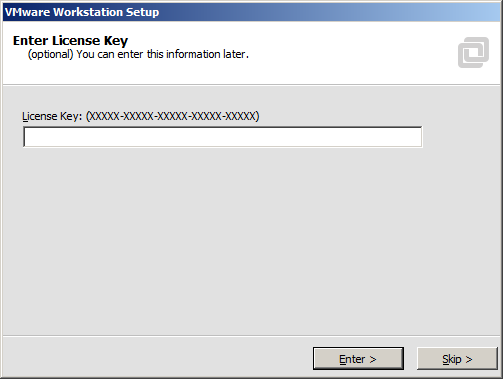 From VMware Workstation, right click on the server. Select “Settings”, then select the “Options” tab. 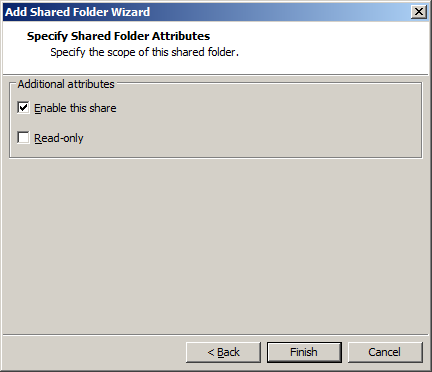 Select the “Shared Folders” setting. Select the “Always Enabled” radio button. Check the box to map as a network drive. Browse to a directory. 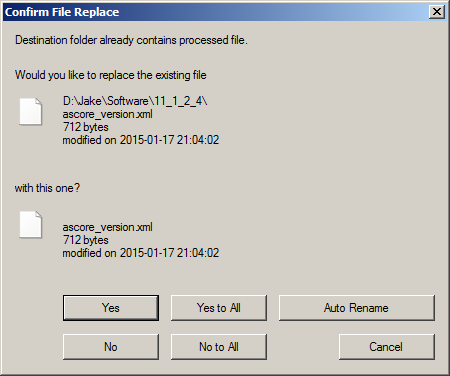 Make sure this directory contains the software downloaded from the second post in this series. (Note – you can map an entire drive if you want.) 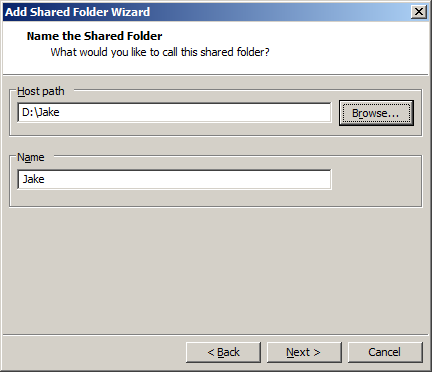 Provide a name for the shared folder. Select the check box to enable the share. Select “Finish”. If your virtual server isn’t already running, start it. 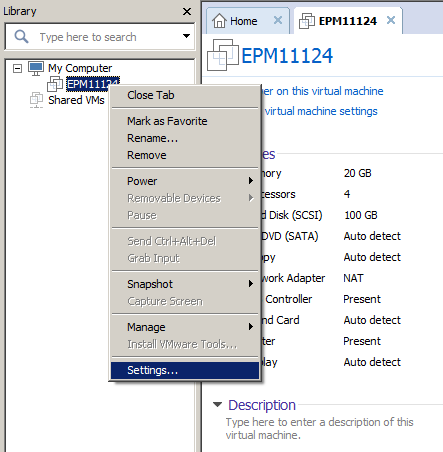 Check to ensure you can access your host from the virtual machine in File Explorer. 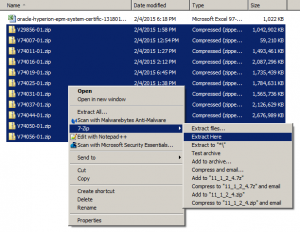 Unzip these files into a single directory on your host. Make sure these files are available under the directory you shared in the steps above. After logging into your virtual server, open File Explorer. 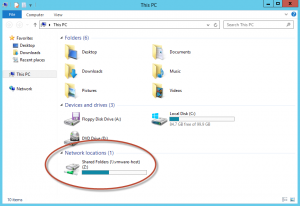 Browse to the shared folder in “Network locations”. 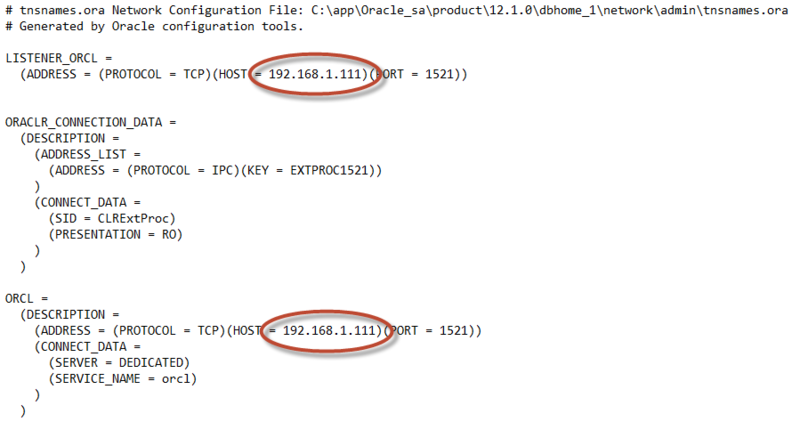 Make sure you can access the Oracle 12c software that was previously unzipped on your host. 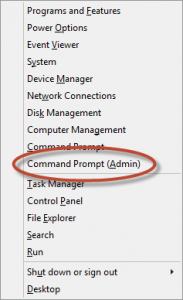 Right-click on “setup” and select “Run as administrator”. 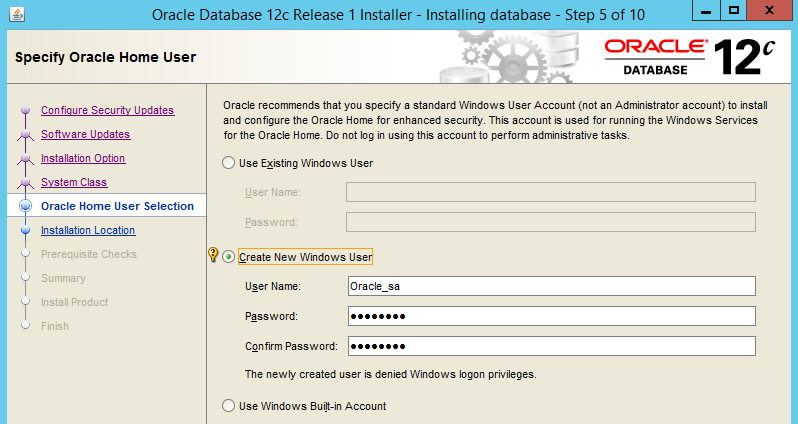 The Oracle Universal Installer will open. Enter your Oracle support contact information if desired. This is not required. Select “Next”. 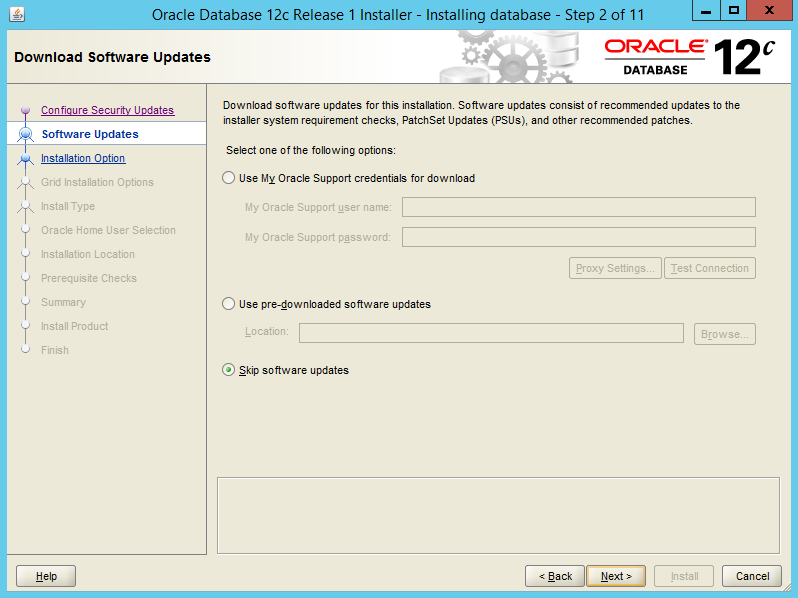 Enter Oracle Support credentials to download software or updates, or skip software updates. Select “Create and configure a database”. Select “Next”. Select “Desktop class”. Select “Next”. Select “Create New Windows User”. Enter a user ID and password. Write these down. 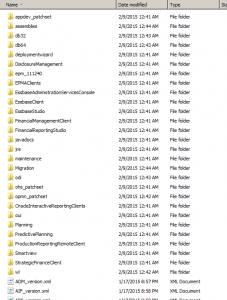 Accept the default file locations. Use the “AL32UTF8” Character set. DO NOT CREATE AS A CONTAINER DATABASE!!! Please make sure this check box is not selected. Select “Next”. Installation will begin. 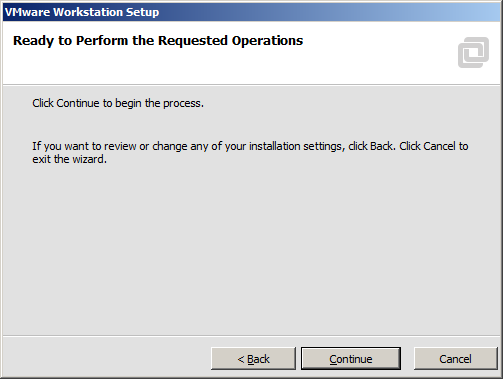 The installer will check prerequisites and then present a summary of selected options. Select “Install”. This part takes a while. Eventually the screen below will be displayed. Edit the “listener.ora” file. Update the HOST with the static IP address you assigned to the network adapter. Edit the “tnsnames.ora” file. 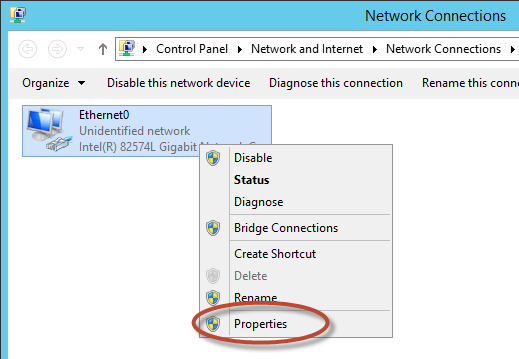 Update the HOST with the static IP address you assigned to the network adapter. Note that the IP address is updated in two locations above. 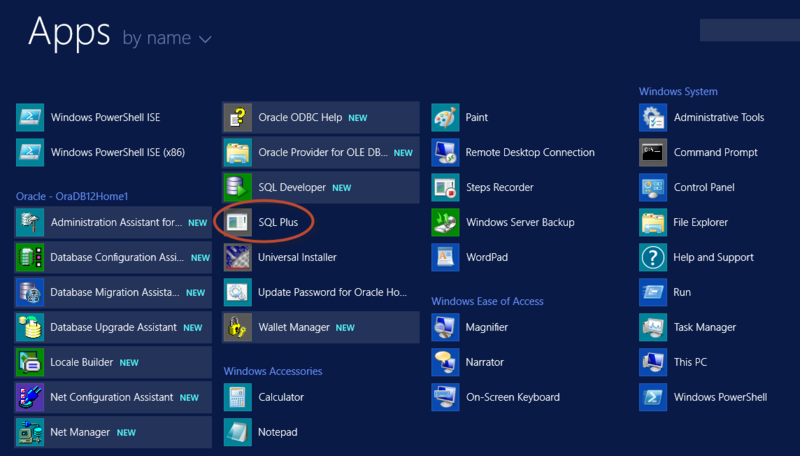 Edit the “sqlnet.ora” file. Add the line circled below. Shut down your VM and take a snapshot. With the relational database installed, it’s time to create the application repositories. Click here for the next post in the series. 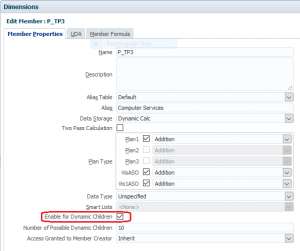 This is the fourth post in a multi-part blog educating readers on how to build a personal “sandbox” environment for Hyperion Planning. Click here to see all nine posts in the series. 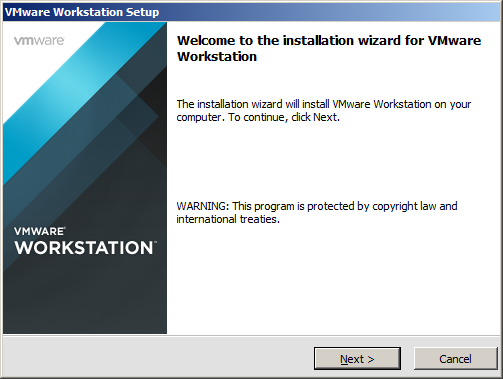 Now that VMware Workstation has been installed, the fun begins. 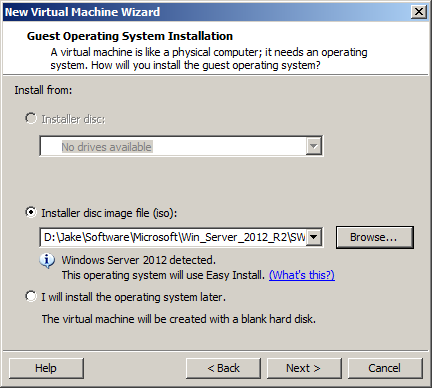 The following steps will create a virtual server that runs on your host. In my case, the host is my laptop. Make sure you have your server operating system software available, along with any required license key. To get started, launch VMware Workstation. 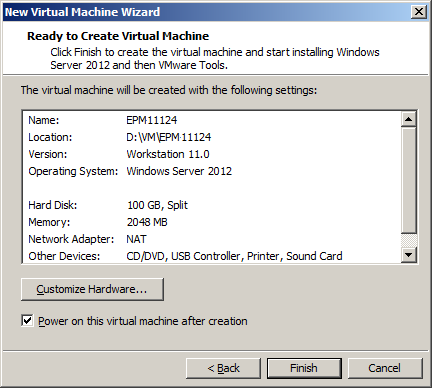 Select “Create a New Virtual Machine”. Create a “Typical” VM. Select “Next”. Tell VMware where the Windows Server installation media is located. You can point to either a drive, or an ISO file. I’m using an ISO file above. Select “Next”. Select the version of Windows you are using. Enter the product key, user ID and password. 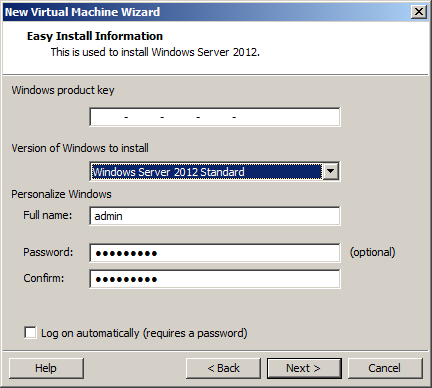 This is the user ID and password that you will use to log into Windows Server 2012. Select “Next”. 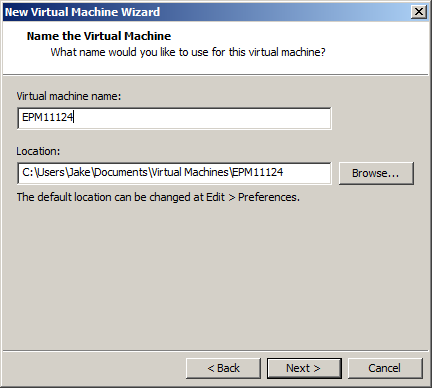 Enter a name for the virtual machine. 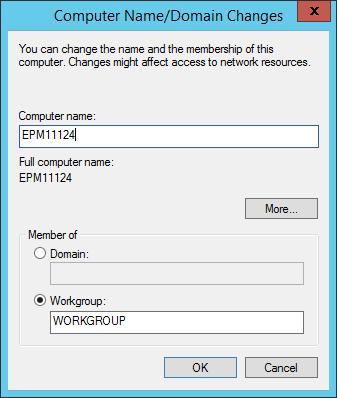 This is not the actual “computer name” in Windows, but rather the name of the VM within VMware Workstation. I tend to use the same name from my VM and Windows computer name. Provide a location for the files. 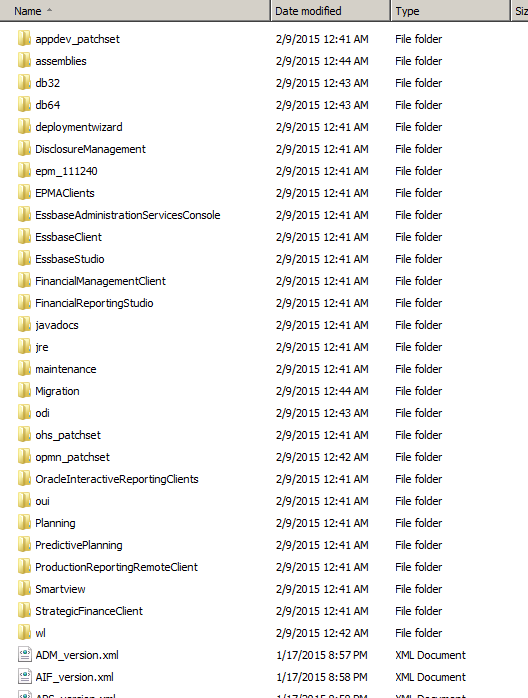 I recommend creating a specific directory for each VM as many files are created. Having them all in a single directory makes it easier to move them around. Select “Next”. Give your VM somewhere around 70-100GB. You can use less space if you don’t intend on loading a lot of data into Essbase. 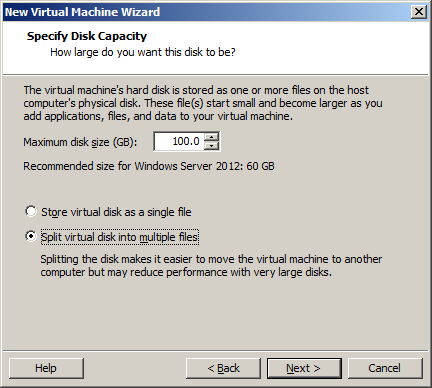 Make sure to select the option to split the VM files into multiple files. This will simplify moving these files at a later date. Select “Next”. Review your VM settings. Be especially aware of where you are placing the VM files as these can take significant space. Some of these settings will be updated later. Select “Finish”. 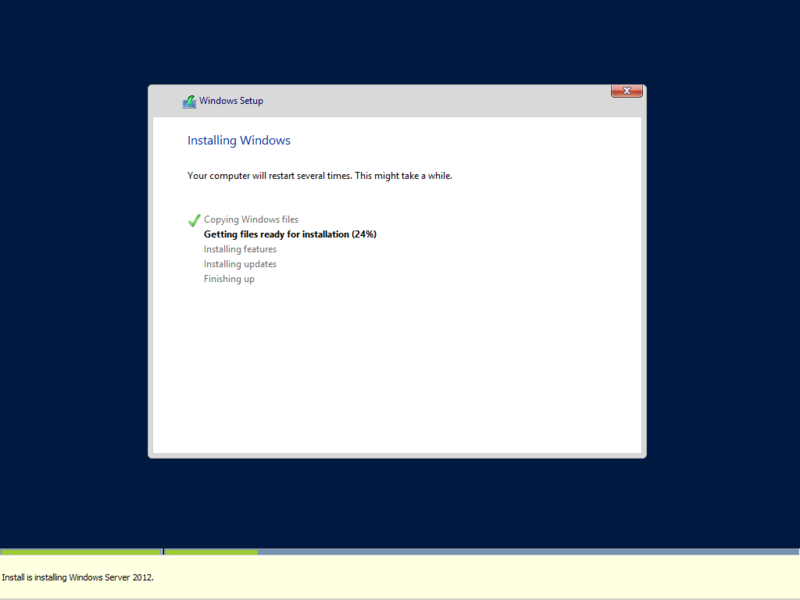 VMware will begin installing Windows Server 2012 R2. The install takes a bit. Windows Server will eventually restart. Your server operating system is now installed on your VM, however there are some remaining configuration steps that are still required. After logging back into your virtual server, Server Manager should be displayed. Select the “Local Server” tab. Click on the server name (mine is “WIN-LPSIVO2KTLS” above, however yours will be different). Press the “Change” button, and provide a name for the virtual server. Select “OK”. After being prompted to restart, select “OK”. 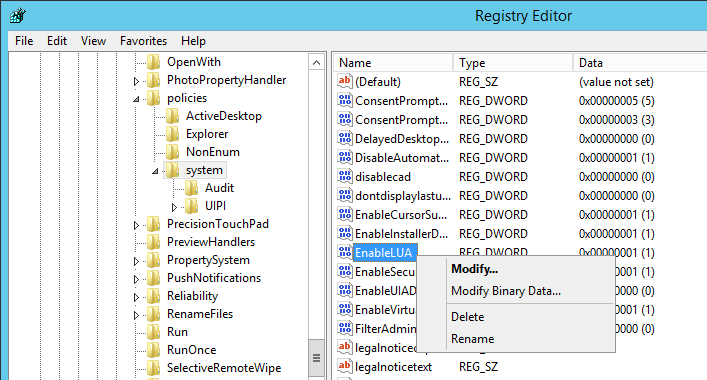 Close the System Properties window and select “Restart Now”. Navigate to Control Panel. Select “System and Security”. 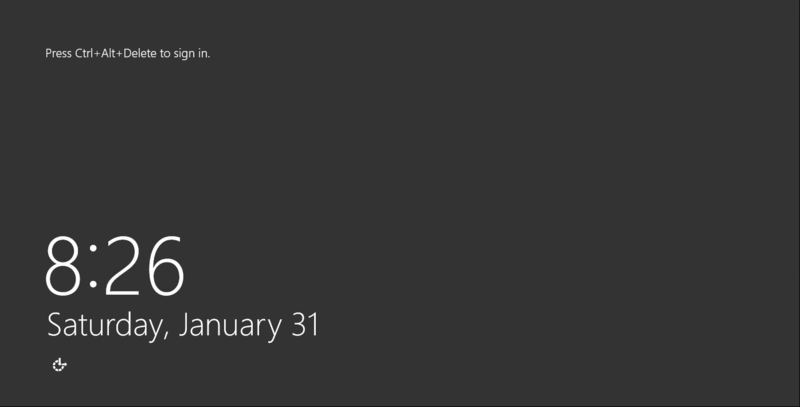 Under “Windows Update”, select “Check for Updates”. Select “Install Updates”. Get some coffee . . . this takes a while. 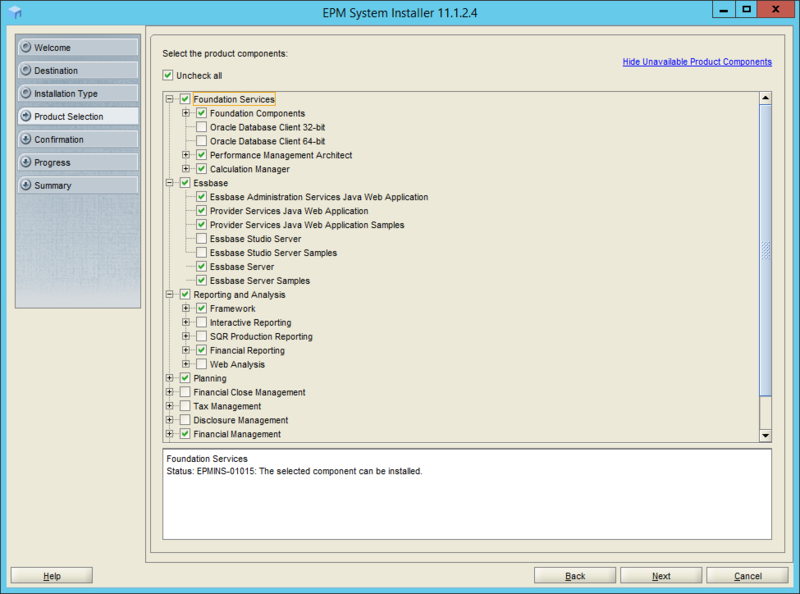 Firewalls can complicate the installation and configuration of certain EPM products. If you use your VM’s intermittently, you may consider turning off the firewall on your VM’s operating system. Please note that this would likely not be appropriate for a “real” environment. 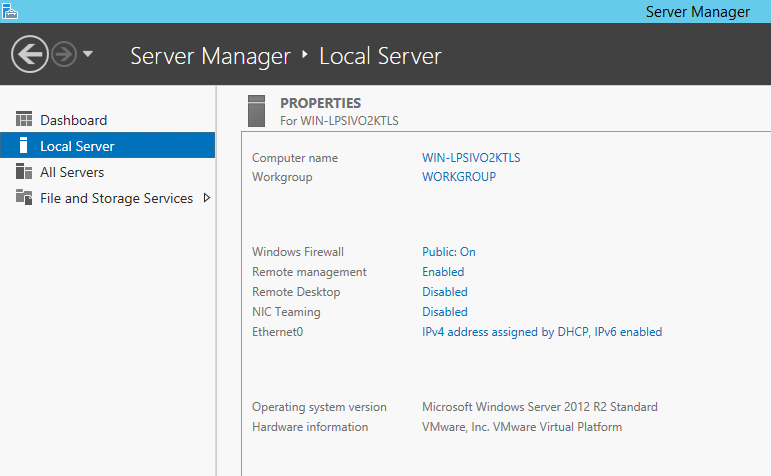 To turn off the Windows firewall on your VM, launch the Server Manager dashboard. Select “Local Server”. Click the “Public: On” link. 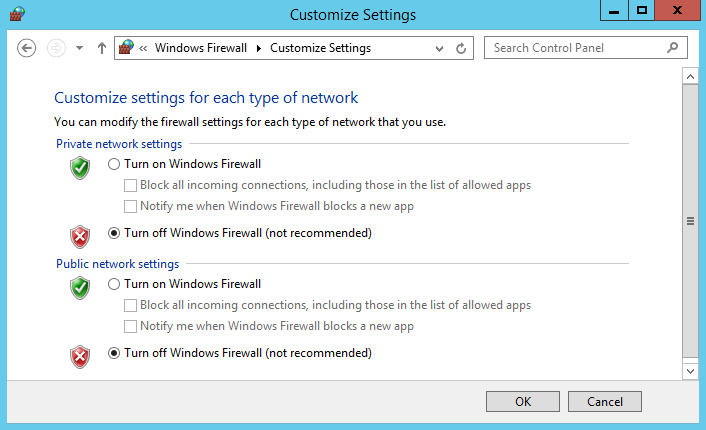 Select “Turn Windows Firewall on or off”. Turn off the firewall. 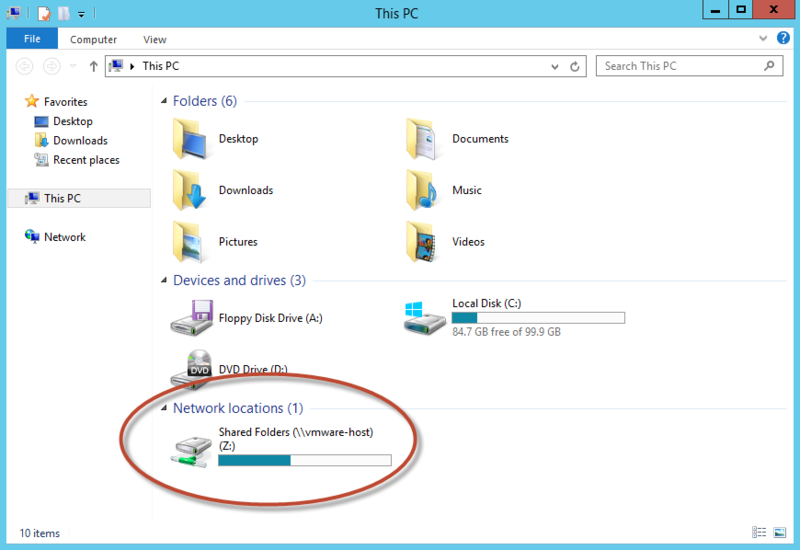 Select “Network and Sharing Center”. Right-click on the network adapter. Select “Properties”. Double-click on “Internet Protocol Version 4 (TCP/IPv4)”. 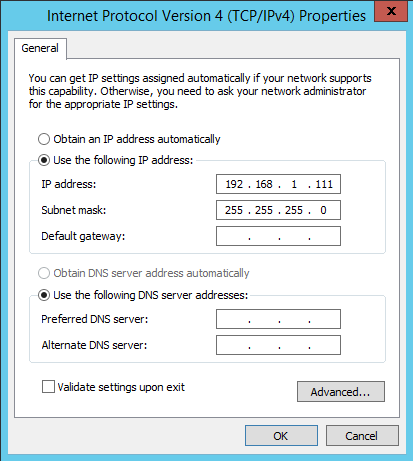 Assign a “non-routable” IP address (like the one I used above). Select “OK”, then select “OK” again. 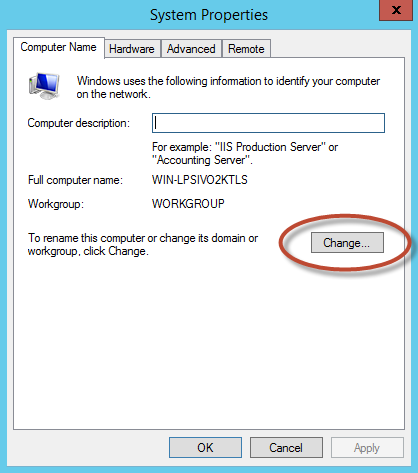 Add the line circled above, using the static IP address you assigned to your network adapter. Make sure to use the name of your server. 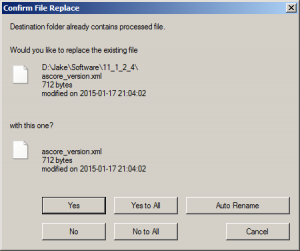 Before installing Hyperion Planning, UAC (User Account Control) must be deactivated. To do this, open a command prompt. Press the Windows Key then “X”. Type “regedit” in the command prompt. Select the “system” member above. 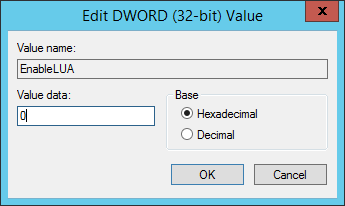 Right-click the DWORD “EnableLUA”. Select “Modify”. Change the data value from 1 to 0. Select “OK”. 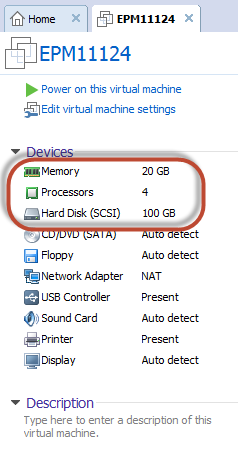 Before going too far, now may be a good time to increase the memory and processors dedicated to the VM. I recommend 12GB of RAM for a “compact deployment” and 20GB for a regular deployment. I also start with 4 processors. These settings can be changed later on, so don’t worry too much about getting them exactly “right”. Click on your VM’s memory under “Devices”. Increase memory and CPU count as required. At this point, your operating system is configured! After all of this work, it’s a good idea to take a snapshot in VMware Workstation. In the event that something goes wrong later in the installation, developers can revert to a snapshot so they aren’t starting over from scratch. 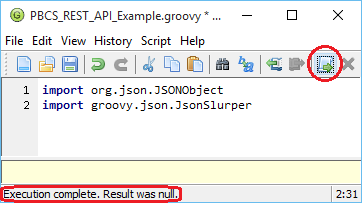 The ability to revert to a snapshot is the most incredibly awesome feature of any virtualization software. 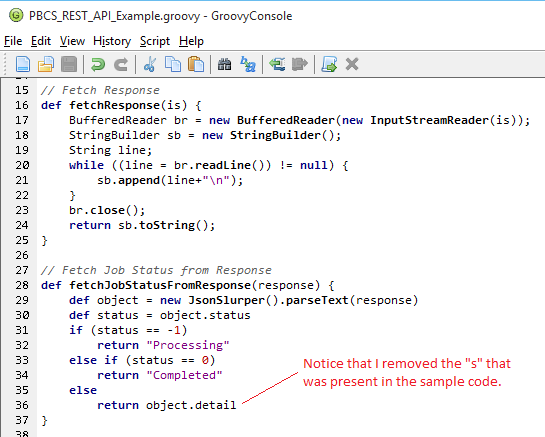 It allows developers to try things, make mistakes, and then revert to an old snapshot. It’s like a free “do-over”. But it only works if you actually take the snapshot, so take snapshots often. And be aware that they do take disk space. 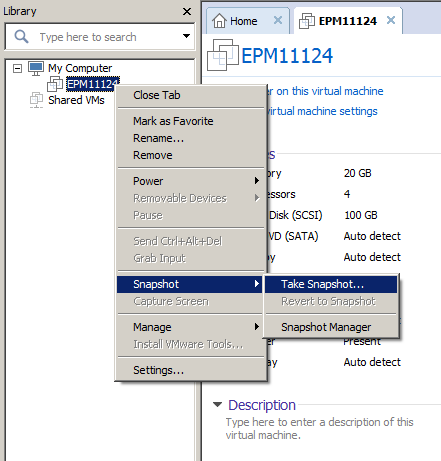 Right-click on the server name in VMware Workstation and select “Snapshot”, then “Take Snapshot”. Take notes regarding the work done to date. 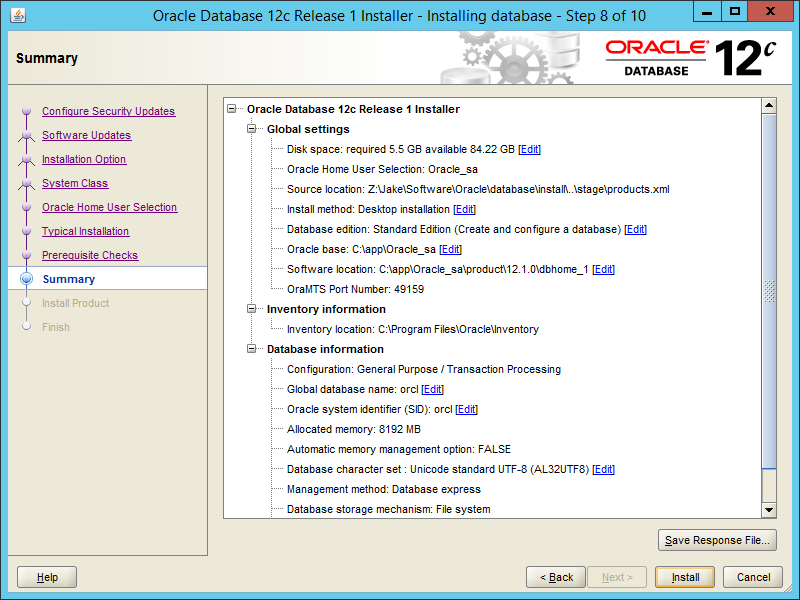 With the operating system installed, it’s time to install and configure the relational database. Click here for the next post in the series. 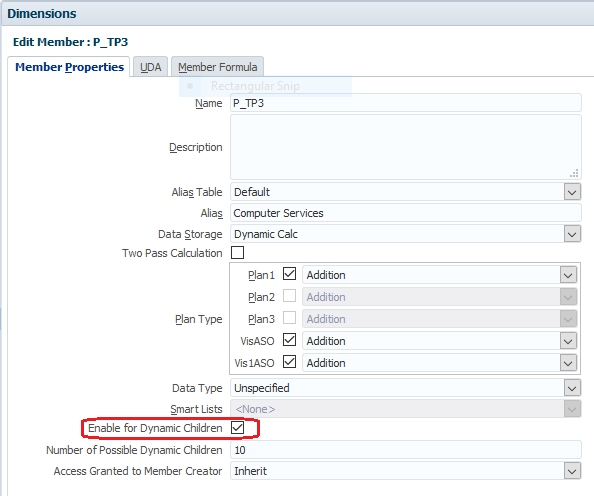 This is the third post in a multi-part blog educating readers on how to build a personal “sandbox” environment for Hyperion Planning. Click here to see all nine posts in the series. Before we can install Hyperion Planning, we need to create our virtual server. 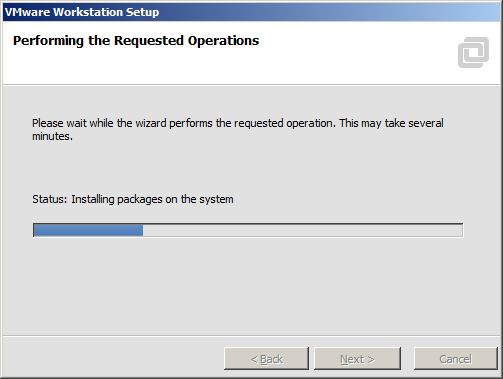 The first step is to install our virtualization software. 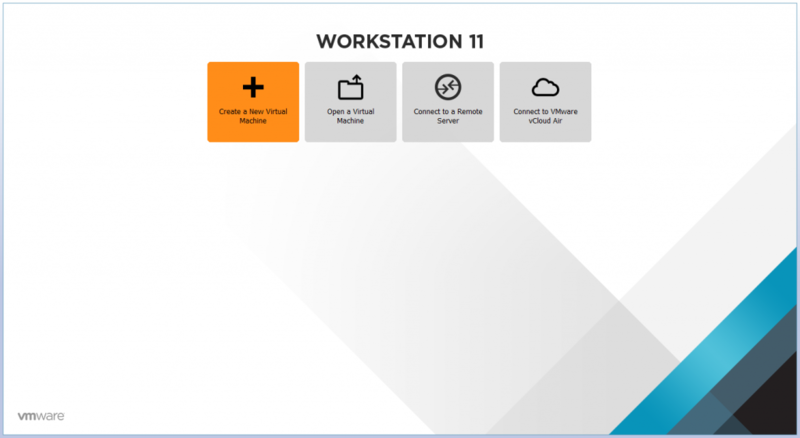 In this example, we will be using VMware Workstation 11. 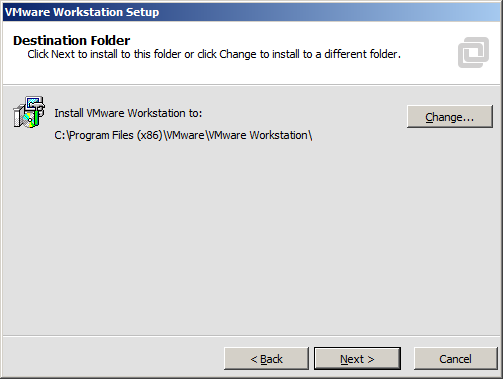 Installing VMware Workstation is a fairly straightforward process. 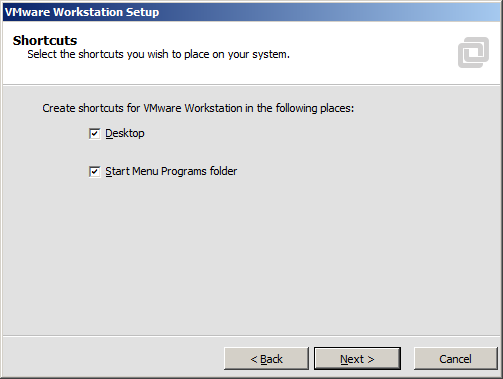 Start by double-clicking the VMware Workstation executable. Select the installation location. Select “Next”. 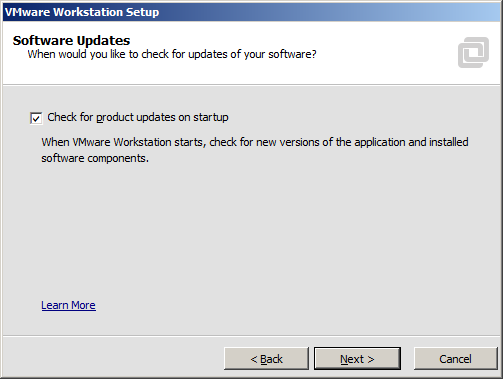 Determine whether VMware Workstation checks for updates. Select “Next”. 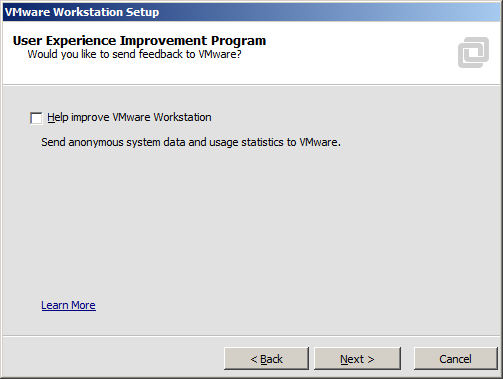 Determine whether usage data gets sent to VMware. Select “Next”. Determine which shortcuts get created. Select “Next”. Select “Continue” to begin the installation. Installation is in progress . 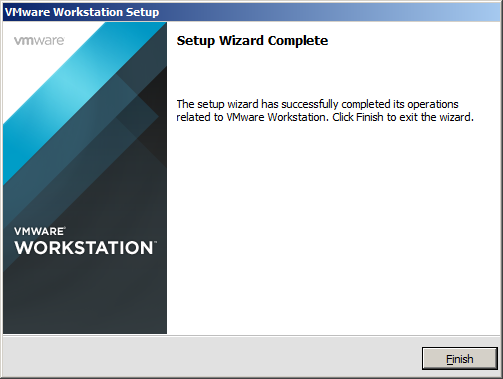 . .
With VMware Workstation installed, it’s time to create a virtual server. Click here for the next post in the series.